Every dog, cat, kitten and puppy needing to spend time with a foster carer does so for a range of different reasons from recovery from surgery through to taking time out from the shelter environment. One thing these animals have in common is their need to spend time in a loving, caring environment with a foster carer. Great Dane Frederick is just one dog who needed to spend time in foster care after arriving earlier this month. 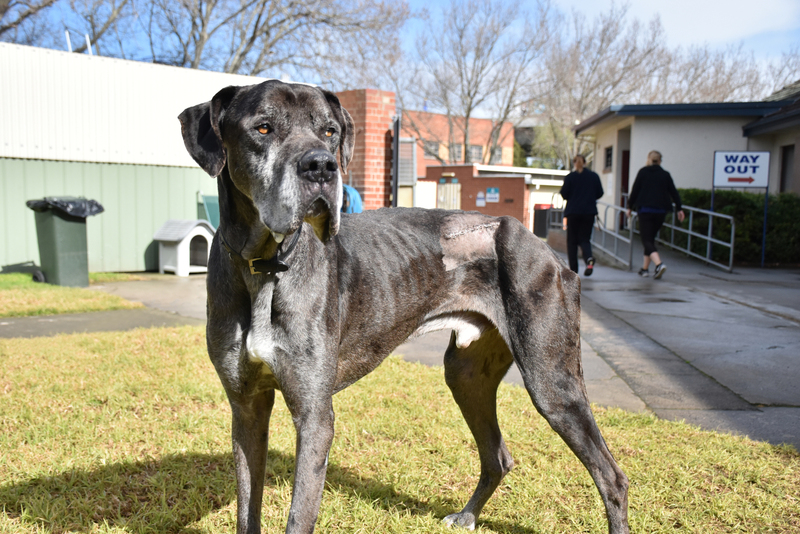 Coming into the Home severely emaciated and needing surgery to remove a tumour on his back, it was clear that Frederick would need some extra TLC before he could go on to find a new home. For Rebecca, Adoption Nurse and Foster Carer with The Lost Dogs’ Home, the moment she heard that a Great Dane had arrived at the Home she knew that she had to meet him. “I am a lover of big dogs and when I first heard of Frederick’s arrival I couldn’t wait to go and meet him. “When I first saw Frederick he was very sad and would look at you with these big sad eyes. I could see how emaciated he is and it was clear that he hadn’t had the care that he needed to be happy and healthy,” explained Rebecca. 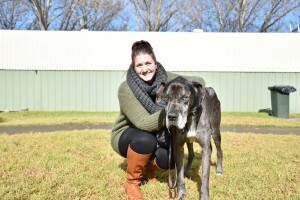 After going into surgery at the Frank Samways Veterinary Clinic to remove the tumour it was time for Frederick to spend some time with a foster carer and Rebecca jumped on the opportunity to care for this gentle giant. Now spending time with Rebecca, Frederick is beginning his road to recovery. “The main aim for Frederick now is to gain some much needed weight and fully recover from his surgery. I am also hoping to get rid of those sad eyes! According to Rebecca there are a lot of benefits in becoming a foster carer with The Lost Dogs’ Home. “The Home provides a lot of support to foster carers and they take care of everything for the dog or cat in your care from food to vet bills. With Spring and Summer approaching we’re in need of at least 100 more foster carers to help us care for animals in need. Often foster animals come to us with unknown histories and are often more vulnerable than others. Like Frederick, they need some extra TLC before returning to the Home for adoption. Do you think you could open up your heart and your home to help our cats, dogs, kittens and puppies get ready to find their own brand new home?